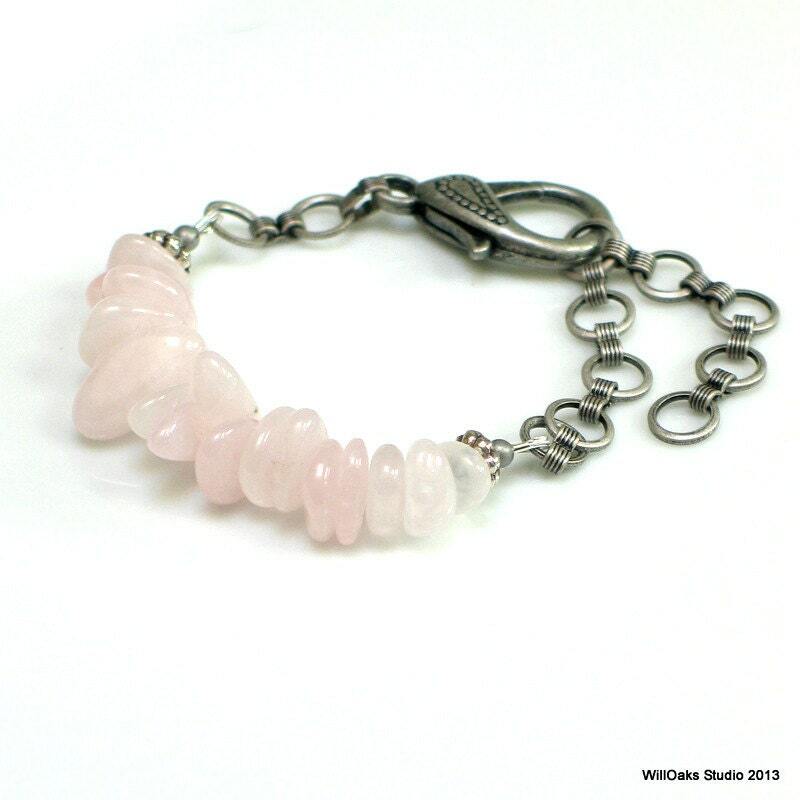 A feminine yet bold statement bracelet--perfect to cross seasons--contrasts the organic beauty of the rose quartz stones (irregular smooth nuggets that vary in size and shape) with silver gray links of bold chain and a large lobster clasp. 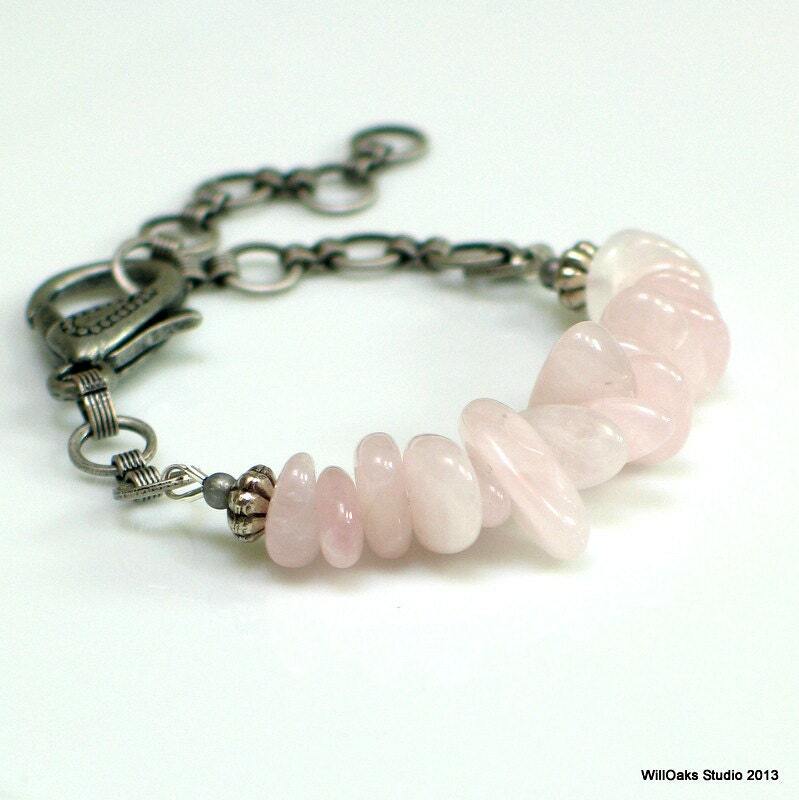 This bracelet will mix well with other pieces or is stunning on it's own. 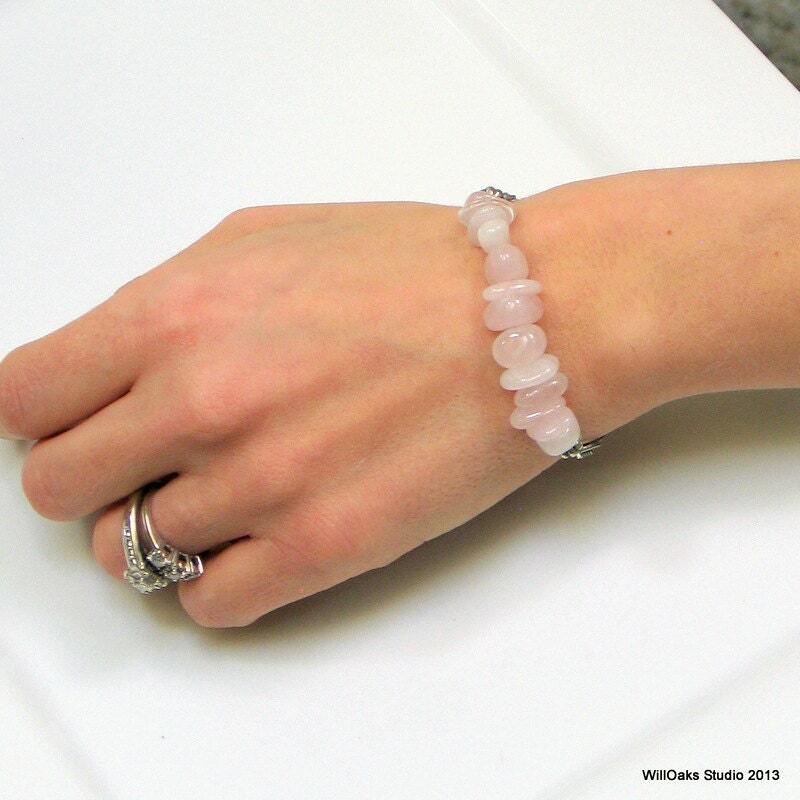 Natural rose quartz stones vary from about 3/8" to 5/8" long (10 mm to 18 mm) and about 1/8" wide and each bracelet in this edition will vary a little bit due to the natural, organic nature of the stones, but each one is naturally original and beautiful. 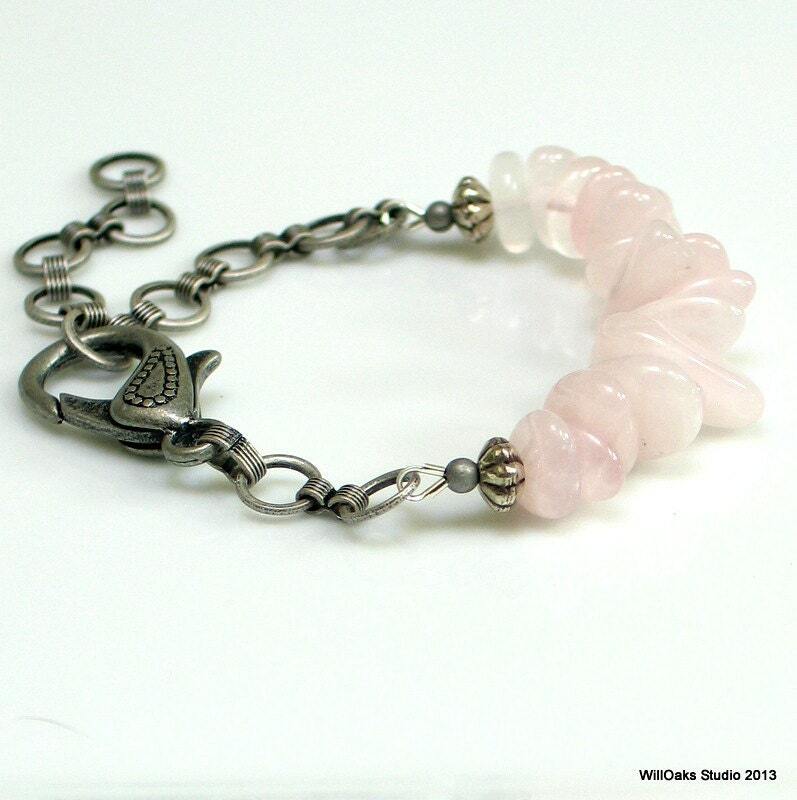 A perfectly affordable gift for yourself or for a special woman on your list as this bracelet can be dressed up or down. 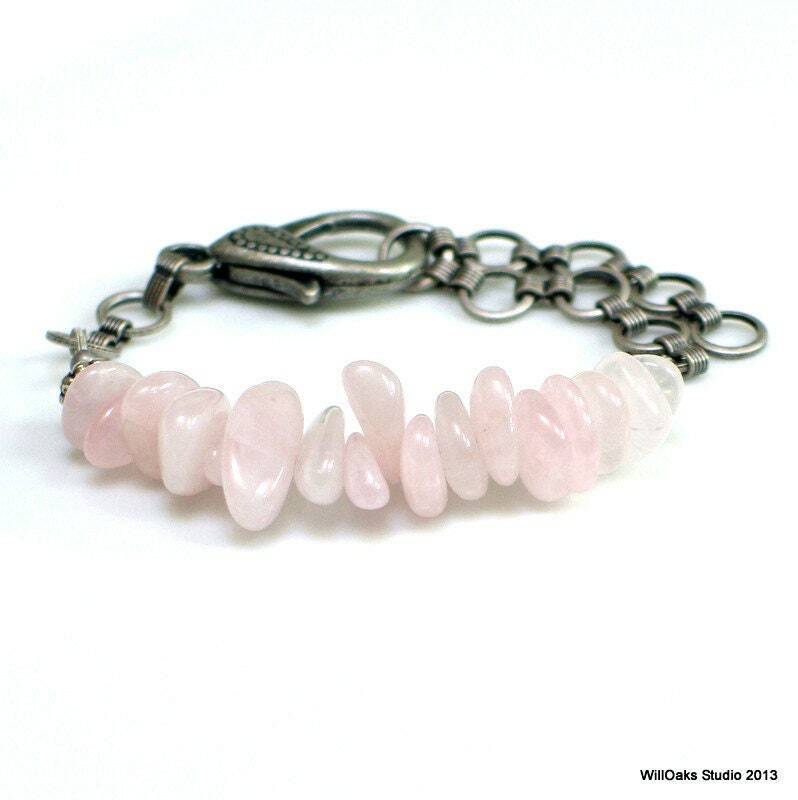 Bracelets are sent via first class mail in either a signature box or velvet bag, all ready to give. Very pretty pink. The recipient loved the bracelet. Thank You Karen! !